We’re getting ready to reveal the full session and screening program for AIDC 2019 next week, on Wednesday 6 February. But before that happens, we’re offering a sneak preview of what’s in store by announcing details of the MASTERS masterclass series and three key sessions dealing with up-to-the-minute issues and topics in the non-fiction screen media space. …with Tamra Simmons (USA), Executive Producer of ground-breaking documentary series Surviving R. Kelly, and award-winning journalist and co-founder of Women in Media, Outspoken Women, and NOW Australia, Tracey Spicer. 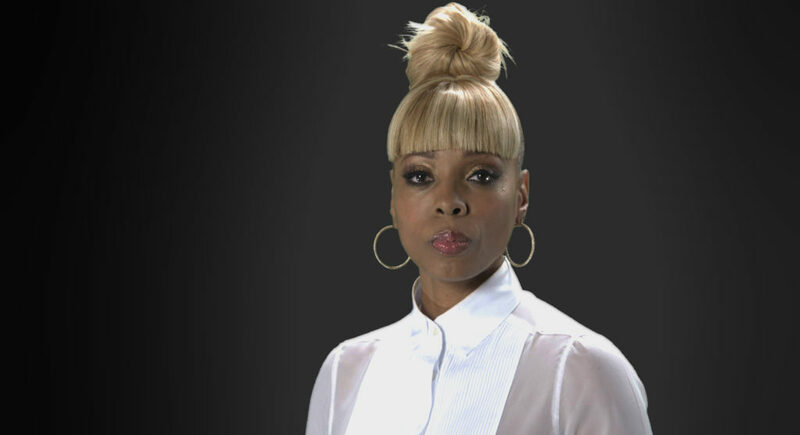 In A Survivor’s Guide to Surviving R. Kelly, EP Tamra Simmons will discuss the intersection of sexual abuse, power and race politics in relation to the making of Surviving R. Kelly and the 24-million-viewer impact of the series with Australian #MeToo movement champion, Tracey Spicer. …with biomedical engineer Dr. Jordan Nguyen (ABC’s Catalyst) and aerial cinematographer Jaimen Hudson. In New Technology, New Voices, New Perspectives, the big implications of innovative, game-changing technologies and what they mean for empowering new stories will be explored by Dr. Jordan Nguyen, an expert in mind-controlled mobility tech, and Jaimen Hudson, a quadriplegic drone cinematographer whose videos of coastal and ocean areas have amassed over 250 million views. The session will be moderated by Grumpy Sailor’s Head of Development & Strategy, Ana Tiquia. …with Annabel Crabb (Tomorrow Tonight, The House), Steve Oliver and Julie Hanna (Commissioning Editors, ABC Factual), and Kelrick Martin (Head of ABC Indigenous). Presented by the ABC, Back to the Future: Politics and Play in the Factual Space explores how factual practitioners are contributing to inclusive and frank discussions about Australia’s future within the context of ‘fake news’, 360-degree media coverage, and the ongoing global debate about democracy. Masters: Producing with Diane Weyermann (USA), President of Documentary & Television, Participant Media, producers of An Inconvenient Truth, Citizenfour, The Look of Silence, The Square, and Food. Presented by Film Victoria. Moderated by Alex Kelly. Masters: Story with Tea Uglow (Australia), Creative Director of Google Creative Lab and expert in the innovative use of technology for storytelling. Presented by Film Victoria. Masters: Music Documentary with Al Hicks (Australia/USA), director of Keep On Keepin’ On and co-director of Netflix documentary Quincy (with Rashida Jones). Masters: Audience with Lisa Opie (UK), Director of Factual, BBC Studios, producers of Blue Planet II, Planet Earth II, Horizon, Louis Theroux’s documentaries and many more. Presented by Create NSW. Masters: Factual with Tom Brisley (UK), Creative Director/Co-Founder of Arrow Media, producers of Under the Wire, What Lies Beneath, America in Color and Australia in Colour. Moderated by Denise Eriksen. Masters: Distribution with Jess Fuselier (USA), from the Sundance Institute Creative Distribution Initiative. Moderated by Alex Kelly. Masters: Cinematography with John Brown (UK), natural history cinematographer on such projects as Life in the Undergrowth, Frozen Planet, Africa, Dynasties, and Planet Earth II. Presented by Screen Tasmania. Moderated by award-winning director Jennifer Peedom (Mountain, Sherpa). Masters: Innovation with Lisa Jackson (Canada), independent filmmaker and creator of First Nations VR project Biidaaban: First Light, upcoming immersive multimedia installation Transmissions, and 3D IMAX film Lichen. Presented by Screenwest. Moderated by Commissioning Editor SBS Online Documentaries Kylie Boltin. Lisa Jackson’s participation is generously supported by the Consulate General of Canada. You can find more information about all AIDC panels and masterclasses on our Sessions page. As Australia’s premier event for the documentary and non-fiction media industry, AIDC’s program of sessions and masterclasses are designed to bring the latest knowledge, debates and techniques directly to practitioners. With more than 40 more sessions and screenings to be announced on Wednesday 6 February, the AIDC 2019 program will be unmissable for anyone interested in documentary, factual television, journalism and non-fiction electronic media of any type. You can register now for AIDC 2019, with passes available for knowledge seekers, content buyers, content sellers, and practitioners seeking project development support.